When TripAdvisor first hit the market in 2000, their initial intent was not to create a hub of customer reviews for various businesses, but rather to be an official database of what’s new and highly sought after in various cities. Stephen Kaufer — one of TripAdvisor’s three founders — has mentioned that in the early stages of TripAdvisor, the review aspect was a very small part of it. On a hotel or restaurant’s page, there was once a small button users could click that read, “Visitors add your own review”. Though it may not have been what they intended, this small element took off as users of the platform flocked to share their experiences with the companies listed. Today, TripAdvisor is used by millions to seek out guidance when visiting new cities for things like hotels, restaurants and other local attractions. The platform isn’t just for tourists, though. People in various towns and cities across the world utilize TripAdvisor to find new restaurants, read up on hotels for staycations and to find activities for their visitors to partake in while they’re at work during the day. What makes TripAdvisor stand out is their level of transparency regarding ratings and rankings. Similarly to many online review and feedback platforms, TripAdvisor operates on a 5-point scale when it comes to ratings. Rather than calling them “stars”, TripAdvisor refers to their scale as “bubbles”. On Google My Business you may receive a 4-star review, whereas, on TripAdvisor, that’s a 4-bubble review. Same concept and measurability, just different terminology. However, what makes TripAdvisor stand out against many of their competitors is their level of transparency when it comes to restaurant ratings and rankings. Facebook has received backlash from various businesses regarding their transition to recommendations. They’ve kept consumers and business owners in a vague, gray area as it relates to what goes into the numerical rating posted above their page’s recommendations feed. Though it’s highly unlikely TripAdvisor will ever entirely unveil what specifically goes into the overall ranking of various businesses on their platform (this is kept private in efforts to keep feedback unbiased or falsified), they have provided restaurant owners with insight on how to improve their ratings and rankings on the platform. To help better understand and improve the various rankings your restaurant can have on TripAdvisor, they’ve broken it down into three sectors: ratings, recency and relevance. This sector relates to the number of reviews a restaurant has on TripAdvisor. Yet, it’s not just restaurants who have the most ratings that get recommended to users. To be recommended by TripAdvisor to users in your area, you’ll need a high quantity of four and five-star bubble reviews. If you’ve received negative feedback, ensure the same mistakes don’t happen again. In order to increase your overall ratings, you’ll need to ensure every team member — from the hostess to the bussers — is providing each guest with an exceptional dining experience from the moment they step foot into your establishment until they depart. If you’ve received negative feedback on TripAdvisor (or any online review platform for that matter), ensure the same mistakes don’t happen again. This allows you to constantly reinvent and improve how your team provides top-notch hospitality; bettering the overall customer experience. On TripAdvisor, newer reviews take priority. 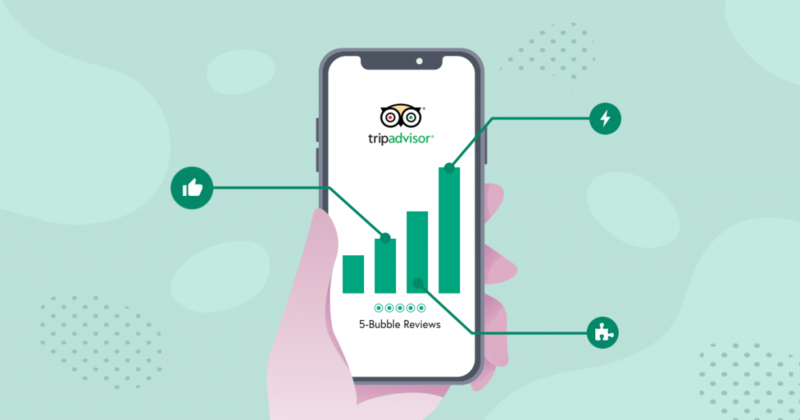 Yes, older reviews are still counted when ranking and rating, but TripAdvisor believes that recent reviews are a better reflection of present-day interactions, and provide greater transparency overall. This should be seen as an immense help to restaurant owners and managers. Not only does it provide accurate transparency for potential diners, but also allows you to pinpoint where you fell short in recent times. With that information, you can improve on your previous shortcomings, and work towards earning a plethora of 4 and 5-bubble reviews. TripAdvisor believes that recent reviews are a better reflection of present-day interactions. To acquire more recent reviews on TripAdvisor, adding links to your restaurant’s TripAdvisor page, noting something relative to, “we love reviews!”, is a strong place to start. 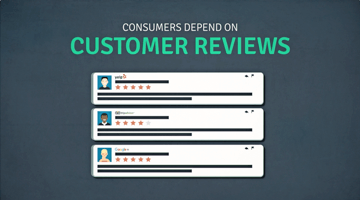 This places the power in the consumer’s hand, allowing them to decide whether or not to leave a review regarding a recent experience — bringing you direct and invaluable feedback. To boost your relevance, encourage customers to mention specifics when leaving feedback. This is where things get a little more complex. You’ve likely noticed that restaurants can have multiple different rankings for various topics, such as “best happy hour”, or “best burger downtown”. The reason for these various categories is that when people search for a dining establishment, there’s a wide variety of terms they can search. They could type in, “best spots for a business lunch”, or “diner burgers”. These are entirely different and unrelated, and shouldn’t be ranked within the same scale — which is why they aren’t. In regards to boosting your relevance, you’ll need specifics mentioned within your reviews. If your key tactic to increasing reviews is through feedback requests via email an hour or two after customers have dined at your restaurant, it’s ideal to encourage customers to get specific in their feedback. This can be anything from noting the time of day they dined, to a specific entrée. These specifics, when noted numerous times, will increase your relevancy within TripAdvisor; potentially landing your restaurant on numerous ranking lists. TripAdvisor is a highly trusted and respected platform in the world of local businesses, specifically in the hospitality sector of the world, but they’re not stopping there. TripAdvisor has been seen as a competitor to Yelp and Expedia, though that correlation may fade away in consumers minds in the coming months. On Tuesday, November 13, TripAdvisor rolled out an entirely new format for their website and app. They’ve created an immersive experience for users of the platform, allowing them to tailor their Travel Feed to their likings. 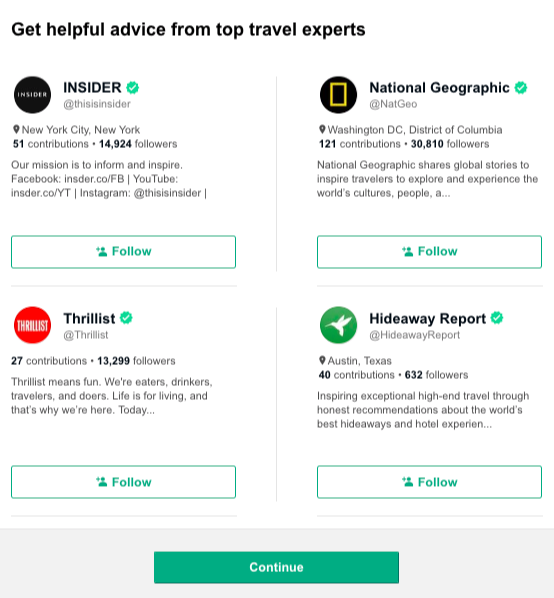 TripAdvisor now allows you to follow various businesses to better suit your needs. This entire redesign emphasizes the increasing importance of creating an exceptional customer experience; no matter what industry your business falls under. The TripAdvisor experience is now a carefully crafted one that you can customize to your personal likings. In a move similar to that of Google My Business in recent weeks, TripAdvisor allows you to follow various businesses and brands, including media and travel companies, to better suit your individualized needs and usage of the platform. Businesses, especially those within the hospitality sector, should start adapting to humanizing their approach to defining a customer’s experience. It’s not the gimmicks that get people hooked anymore; it’s the way you make them feel that defines their overall experience. 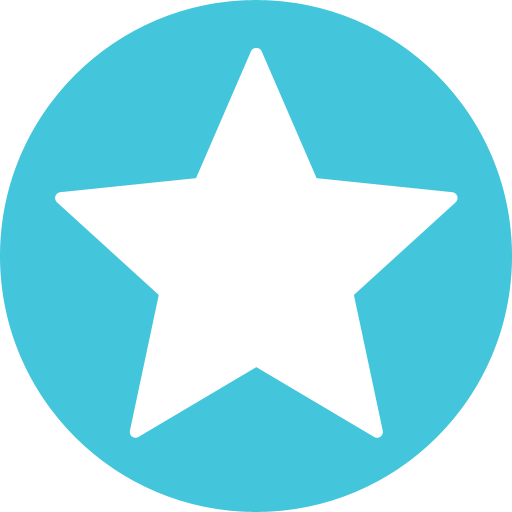 For help monitoring and managing your online presence on TripAdvisor, and numerous other online feedback platforms, there’s ReviewPush. Our number one priority is ensuring you are set up for success with all the tools and resources you need. At ReviewPush, When you win — we win.